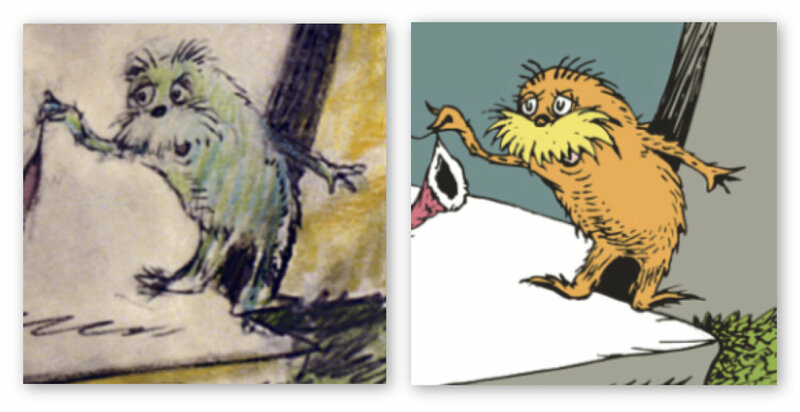 Dr. Seuss’s ability to embolden readers early in their lives with this image of the Thneed and others in the Lorax, together with the notion that “we can (and must) do better than this,” has helped fuel a generation to make a difference no matter what the endeavor or cause. 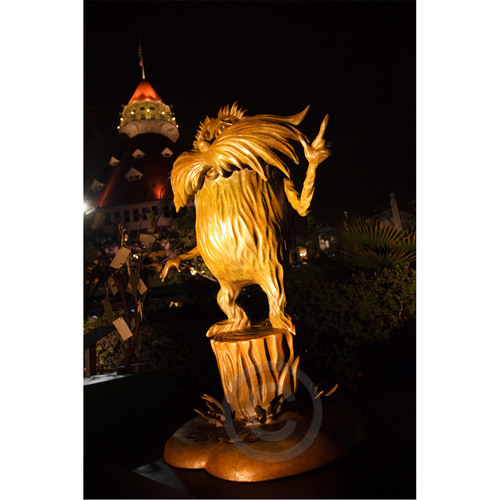 The Lorax has become a champion for many and a mascot to those who continue to tackle the complex issues of our times. 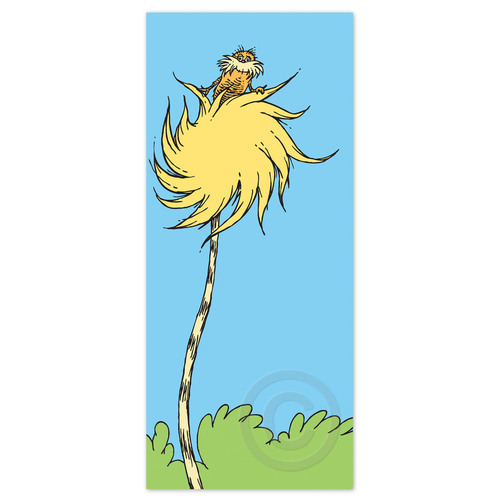 Much has changed since this image was a mere sketch tacked to the famed corkboard walls of Dr. Seuss’s studio. 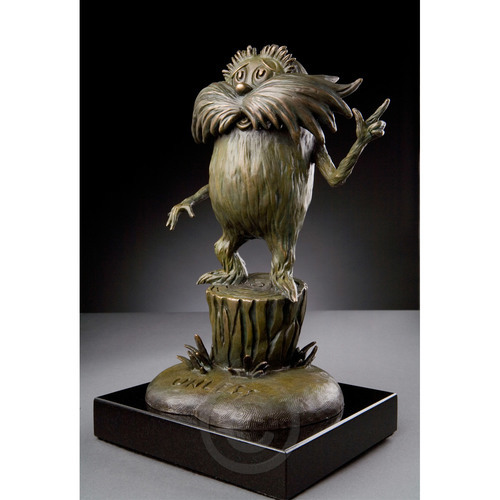 Based upon the extensive popularity of this book (it is one of the top 10 selling Dr. Seuss titles), the Lorax’s simple yet compelling images have gone on to make a profound impact. 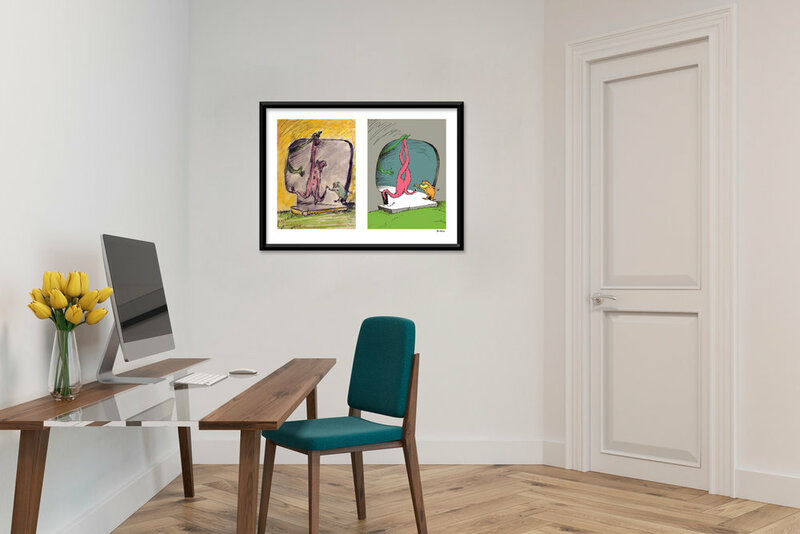 Perhaps even more remarkable is that Dr. Seuss’s artistic genius—his ability to convey so much with so little in this image—still resonates with the same impact decades after its creation. Fine Art Pigment Print on Acid-Free Paper, Image Dimensions: 14" x 10", Paper Dimensions: 17.5" x 13"
Fine Art Pigment Print on Acid-Free Paper, Image Dimensions: 14" x 10" (each), Paper Dimensions: 17.5" x 24.5"
The Thneed depicted in Dr. Seuss’s original rough drawing resembled a real-life garment complete with arms, legs, buttons, and a matching hat. Later, when executing the final line drawing, he stripped away all of the details and instead opted for a formless garment reminiscent of oddly proportioned pants. 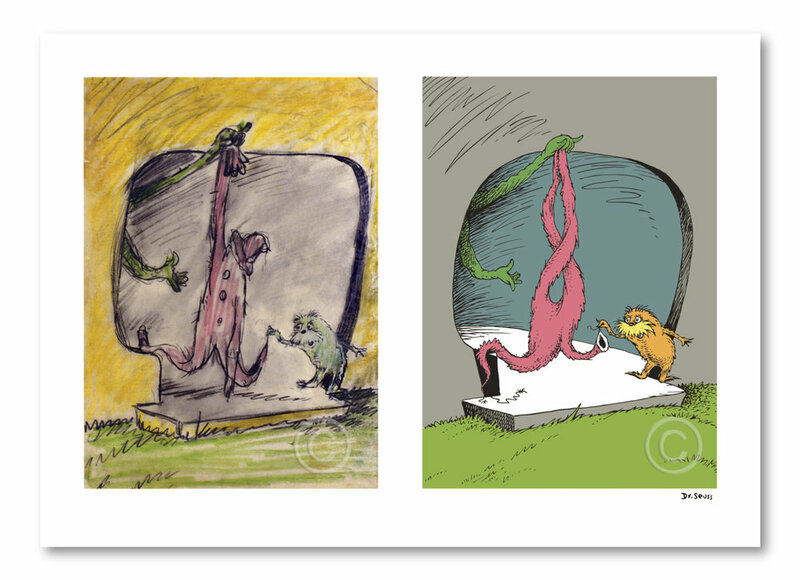 In this hallmark Seussian technique, he pushes the book’s narrative even further by illustrating the Thneed as a truly useless item and therefore something that no one needs. Click the images below to learn more about availability and current price.